When video is not enough, our M-26 covert style CCTV microphone is a great addition. These condenser style microphone has a tiny housing, allowing you to conceal it anywhere, and providing you with great quality audio to combine with your video streams. This microphone comes with a 6' power/audio cable built in, allowing you to easily place the micrphone where it will provide best audio. 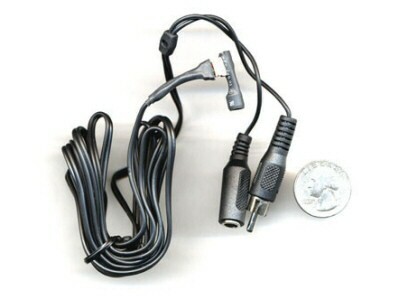 Microphone cable has a male RCA connector for the audio, which is common for audio inputs on DVRs. It can also be adapted to an BNC connector with BNCRCA-1 adapter (sold separately). Start hearing what happens in your home or business today with this powered style microphone, which picks up normal conversations up to 30 feet away from the microphone.